Preheat 4-quart pot over medium heat. Saute the onion in the oil for 5-7 minutes, until translucent. Add the ginger and saute for another 2-3 minutes then add the garlic and saute one more minute. Add the broth to deglaze the pan. Mix in the spices and salt. 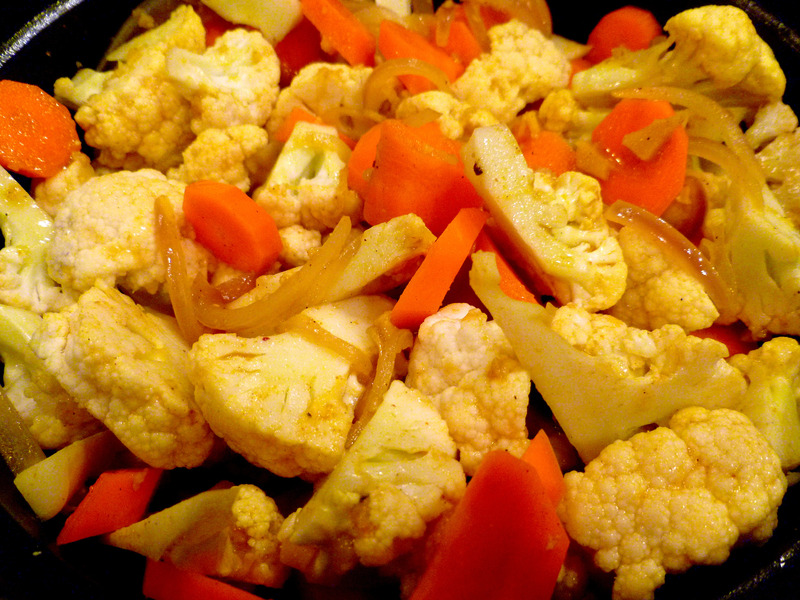 Add the cauliflower and carrots. They won’t be completely submerged, but that’s okay. Try to mix the sauce up over the veggies so they are coated (see pic). Bring to a boil, then reduce heat to a simmer and cover. Let simmer for about 8-15 minutes or until veggies are tender (the amount of tenderness depends on how large you cut the florets and how tender you like your veggies). Add the peas, coconut milk, agave and cilantro (if using). Taste for salt. Turn off heat and let the flavors meld for about 5 minutes. 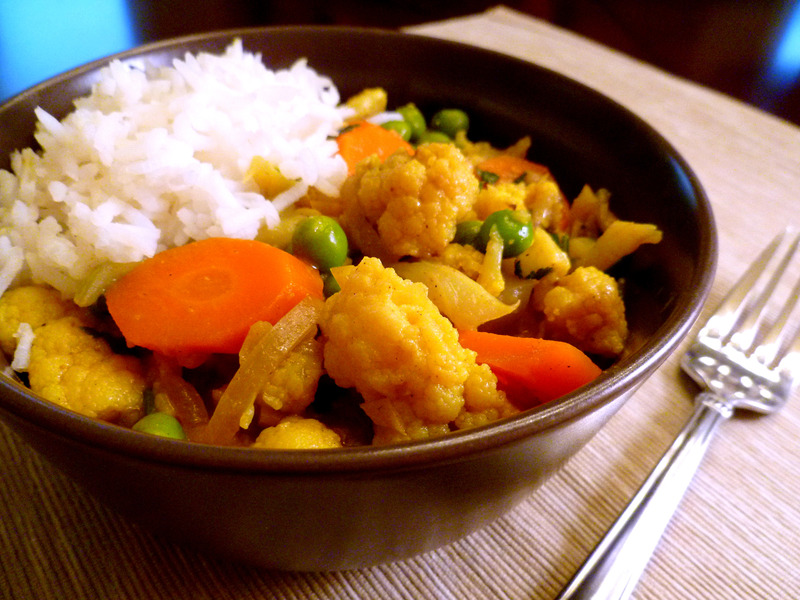 Serve the Korma in bowls with rice, garnished with cilantro.